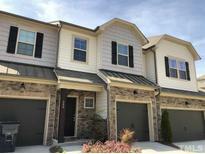 Find Hillsborough, NC Condos for sale. View Photos, Maps and MLS Data Now! Unit has never been occupied. Induction cookware included. MLS#2249751. 3359. Call or Text Listing Agent for more information. MLS#2249646. 4821. This opportunity won't last long. MLS#2248312. 3014. Corbinton has a walking trail to downtown Hillsborough; dog park; and the community center will be built Summer 2019. MLS#2247982. 5014. Beautiful furnished lobby & elevator. Modern Living. Historic Hillsborough. MLS#2240560. 136. Large walk-in utility room, pantry, granite countertops, stainless appliances. You'll love it. MLS#2236013. 5014. Community pool/Club Hse to open Spring 2019 MLS#2233658. 3014. Large walk-in utility room, pantry, granite countertops, stainless appliances. MLS#2232580. 5014. Historic district location provides easy access to downtown. Modern Living. Historic Hillsborough. MLS#2220465. 136. 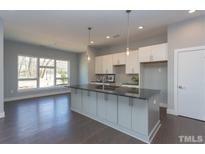 Photos are of a staged model home! MLS#2205948. 3789. Price reflects baseprice, homesite premium and everything included options like quartz counters, bluetooth thermostats, ring video doorbell, and much more. MLS#2211708. 3789. Beautiful furnished lobby & elevator. Modern Living. Historic Hillsborough. MLS#2209334. 136. 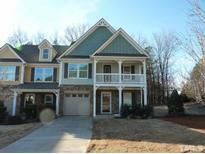 This townhome has a downstairs master, 4 bedrooms+2.5 baths with a garage! MLS#2208640. 3014. The price reflected includes upgrade options, this may change if additional options are added. MLS#2207573. 3014. Come enjoy one of Hillsborough's finest townhome communities. MLS#2206474. 3014. Close to town, West Hillsborough and River Walk. MLS#2205761. 3014. Hurry as this is the last inventory garden home and won't last at this price! MLS#2191247. 3140. Historic district location provides easy access to downtown. Modern Living. Historic Hillsborough. MLS#2169407. 136. Reserved parking & storage. Modern Living. Historic Hillsborough. MLS#2167517. 136. Beautiful furnished lobby, main building terrace, elevator. Modern Living. Historic Hillsborough. MLS#2155193. 136.